Driving is a big part of the Southern California mystique. The weather’s accommodating and elaborate freeway systems are well maintained. The ease of exploring cities, beaches, mountains, and deserts makes it tempting to jump in behind the wheel and take off. Be warned though: Driving can be either brutal or breezy fun when you master Southern California traffic conditions. After living in major regions along the West Coast, I’ve found getting in and out of Los Angeles or San Diego to be the most challenging – unless you know how to make it work. While public and alternative transportation options are improving, driving is still the best way to get around. If you’re interested in cutting carbon pollution, saving money on gas and minimizing stress for you and your vehicle, mastering Southern California traffic conditions is a smart move. Most of the major freeways run along a north to south or east to west axis. 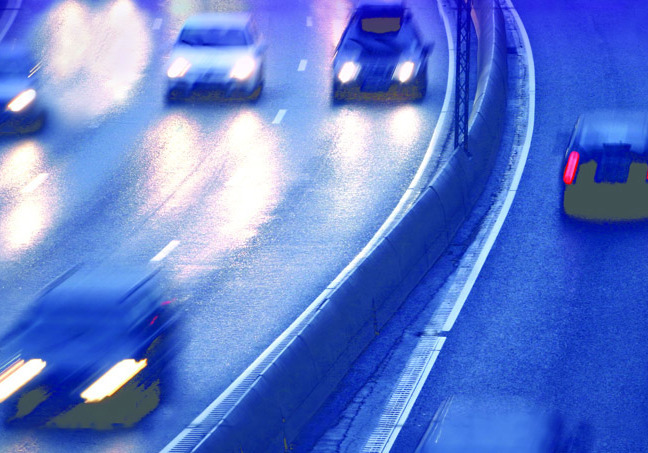 Numbering can help you when roads split suddenly and you need to be in the correct lane. In the contiguous U.S. odd-numbered routes run generally north to south, like Interstate 5, Highway 101. Even-numbered routes generally run east to west, such as the ancient Highway 10, a straight shot out from Santa Monica to the desert, or Interstate 8 which springs from San Diego’s Pacific Beach on a route towards Arizona. Trivia Question: Why is US 101 considered a two-digit route? Answer below. If possible I avoid most freeway driving between 7:30 and 9 am as well as 3 pm and 6 pm in urban areas of Southern California. If you must drive during that time check out Drivetime Yoga to stay sane! The worst rush hours are on freeways in a radius of 30 miles around Los Angeles. San Diego is trickier. The county is deceptively long and wide. The coast is densely populated and east county has vast, suburban pockets, (my Mom labeled them, bedroom cities.) Most San Diegans rarely venture out of a 25 mile radius – unless they must for work. The days before and immediately after major holidays should be avoided, or change when you’re on the road. Start very early in the day or later in the evening. Leaving Long Beach early the day before Thanksgiving, I almost didn’t make it to a Palm Springs family reunion. I’d checked the maps and allowed two – three hours for the drive, with a few stops to stretch. It took us nearly six hours. Not much fun for our toddler in the backseat either. You’d think the major traffic tie ups happen only on weekdays but Friday and Sunday traffic is impacted. Gridlock starts early on Friday afternoons as crowds flee the city for the weekend. I’d never plan a drive into or out of Los Angeles on a Friday afternoon. If you must, expect the trip to take at least double what it would most other times. GPS can guide you. Sunday afternoons are the same problem as people travel to get home for Monday workdays. Leave early in the day or after dinner. 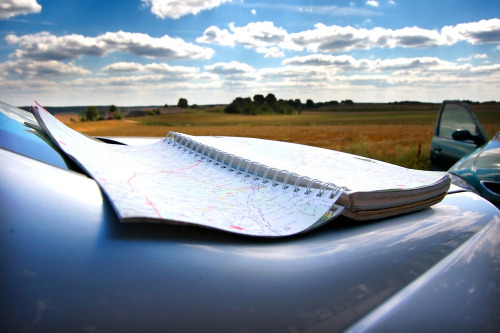 GPS makes it easy to consider different routes. A longer route might be fastest because of many conditions. Study it, consider what time you need to arrive at your destination and choose. It’s harder to change once you’re underway. Do yourself a favor and don’t wait till you’re on the road before you check traffic conditions. Among GPS services are alerts on alternate routes. They may not make sense but there’s usually a good reason behind it. On a late night return trip along Highway 405 from Orange County, a recent alert sent me off the freeway to a side street as part of an “Alternate Fastest Route.” It helped divert me around an overnight construction zone I had no idea was there. 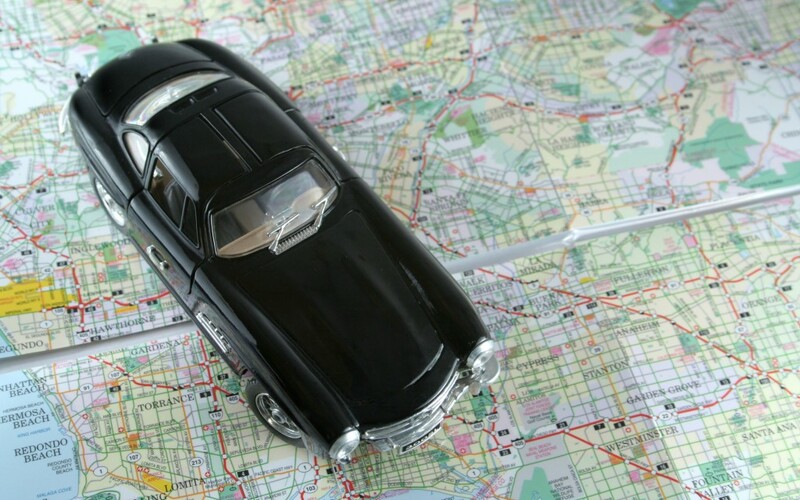 GPS installed in your car is a great driving tool but Apps can be a great alternative. Google Maps will give you alternatives and Waze offers even more route changes. Waze introduced Carpool options where you sign up and find others to share or rides. When I ride to Los Angeles I’ll plug in the car’s GPS coordinates for my destination before leaving San Diego and then check on Google Maps to see how the two compare. I’ve also found that having a dashboard, cell phone holder is a great way to keep from getting distracted juggling your phone while checking route conditions. Generally, Southern Californians drive very fast and aren’t used to having wet roads. When it first rains after a long dry spell there’s more oil residue on the asphalt, making the roads even slippier than expected. Slow down if it’s raining, allow extra space between cars and tempting as it is, don’t be a ‘Lookie Lou’ slowing down to gawk at accidents while contributing to a chain reaction as everyone behind you slows as well. Southern California driving conditions are notorious for many reasons but a little understanding, a bit of prep and a sense of surrender to the adventure, even on a daily commute, can make you happier. In the Los Angeles on the 405 going north or south, expect delays between the Los Angeles airport and Melrose exit almost continuously. Older routes are usually slower. There are fewer and narrower lanes on the Old Pasadena highway. Headed east from Los Angeles to Big Bear or Palm Springs? Highway 10 and 91 are most often packed during rush hours. Toll roads in Orange County can help. Getting out to Palm Springs can also mean rush hour woes in the San Bernadino and Riverside areas. In San Diego avoid the ‘merge’ where Highway 5 splits to Highway 805 during rush hour going north and south. Traffic also slows around the Genesee exit where many hospitals mean lots of office workers on their way to or from work. Trivia Answer: US 101 is considered a two-digit route, its “first digit” being 10. Help your friends and neighbors out and share these tips. Here’s a pin too! One would think it would eventually get better, but it seems to get worse every single year. Remember that gif/video from the day before Thanksgiving last year? It will be interesting to see if there are any government changes in 2017 that reduce the amount of traffic in SoCal. Personally, the one hour commute to work gets longer every single day. This is really life changing information, thank you! I’ve been interested in road trips for a while but been unsure of driving in new territory for safety reasons. This helps greatly, more awareness, better preparation! Glad to hear this helps, Mar! I generally like to use public transportation as much as possible but in Southern California it’s just not all the time. Ha! I don’t drive… Never have as I live in Europe where there is amazing opportunities for public transport. After reading this I feel kinda lucky. I can only imagine the research you had to do to write this article! You are so fortunate, Natasha. Europe has the greatest public transportation yet. Oh well, can we claim we’re still new?! Very useful and detailed advice for a road trip lover like me! No fun being stuck in traffic! Thanks, Lotte, glad to hear you find this helpful. I wish you easy roads ahead. These are great tips for anyone who is visiting Southern California to keep in mind. I am living in Germany at the moment, and the traffic is actually quite bad. There are so many people in such a small country that I’ve had to learn similar tricks about the best times to drive here. I’ve always heard that Germans love driving. With great motors like BMW and VW, plus the Autobahn it makes sense but I’m sorry to hear that the roads are getting clogged. I’m originally from Orange County and I have to say, I do not miss the driving! Traffic can be such a nightmare. These are great tips for anyone brave enough to attempt it though. A sense of surrender to the adventure is a great one! 🙂 I liked your trivia question too. Learned something new! Thanks, Jen, I’ve been mulling this post for some time. Too often over the years I’ve seen visitors get stuck in traffic when they could’ve done better with a little preparation. Glad you liked the trivia too! It’s daunting especially when you’re new to an urban area. I’m with you and favor the pace of public transportation but it’s not always possible. Good to know though what works for you and plan accordingly. Some good tips here! Not only for California but for almost every other road trip I think. Glad to hear that you think there’s value here for other than Southern California, Vedante. 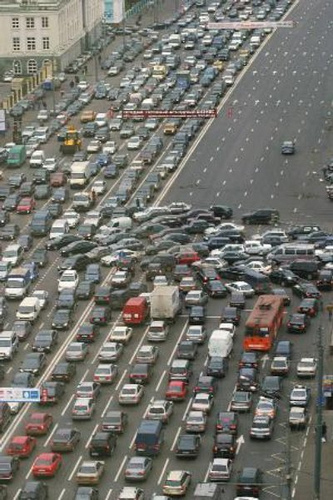 I heard a bi about the traffic issues in California from some of my relatives there. This is so spot on! Nice share! Glad you have relatives to warn you about driving conditions in SoCal. Thanks for the comment. Sadly it’s true but many don’t realize there are strategies to manage things. I still get caught in traffic sometimes. That’s where surrendering works best. C’est la vie! Sounds like you have some great radio reporting in your area. Ours is spotty but then I’m not a drive time commuter. If car driving wasn’t a part of the American experience from an European point of view… This would look like hell! 🙂 thank you for your survival tips! You’re too right, Sabrkna! I’m afraid it could. Hope this helps lighten the effort. Thanks, Stefan, I hope your road trip is a blast. Aren’t you lucky riding shotgun and singing?!! 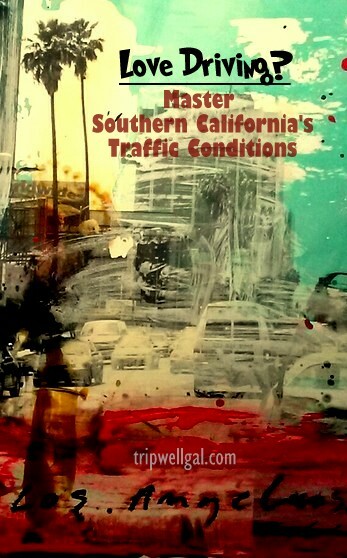 Although, I don’t live in South California, but your tips I think are helpful to manage any kind of traffic situation. The place where I live has a lot of traffic and I found it very difficult every time but I hope your tips will be helpful. Dear Sumti, sorry to hear that you have similar traffic problems. Seems to have become a human condition! It’s a great skill to have but not necessary. Now there are so many additional ride-sharing options too. I hope you don’t ever get stuck in traffic. I don’t like driving in Los Angeles, Elaine, but I don’t have a choice. However, I wouldn’t advise anybody from out of town to venture on our freeways unless they are ready to take their life into their own hands. I do try to drive as little as possible but still love the freedom that having a car provides. It’s not something that I like doing in a new city though, a new country even less! This was an interesting read for me. Where I come from the drive from one end of town to the other is about 20 min and there is no way to drive out of town. Unless you drive onto a ferry boat. We have one “highway” that runs the length of the town. When traveling in the lower 48 and needing to drive we use the iphone google maps app because it tells you exactly when to change lanes and shows traffic conditions ahead. This information will be useful when we visit CA. Sounds like the conditions that I lived with when I was in SE Alaska, Elizabeth. Life was simpler then. Hope that my suggestions don’t mar your time in the lower 48!